You are here: Home / Panel of Neutrals / Alan S. Pierce, Esq. EDUCATION: Suffolk University Law School (J.D. ); University of Massachusetts at Amherst (B.A.). LEGAL EXPERIENCE: Alan Pierce is admitted to practice before the Courts of the Commonwealth of Massachusetts, the U.S. District Court for Massachusetts, U.S. Court of Appeals, First Circuit Court and the U.S. Supreme Court. He is a member of the Salem, Essex County and Massachusetts Bar Associations as well as the American Bar Association and the Massachusetts Academy of Trial Attorneys and its Board of Governors. In 2004 and 2005 he served as President of MATA. Alan currently serves as chair elect of the American Bar Association workers compensation section and will be the national chairperson in 2010. Alan is the former chairperson of the Massachusetts Bar Association’s Section on Workers’ Compensation Law. OTHER PROFESSIONAL EXPERIENCE AND ASSOCIATIONS: In 1995 Governor William Weld appointed him to the Workers’ Compensation Advisory Council and he was reappointed in 1998 by Governor A. Paul Cellucci. 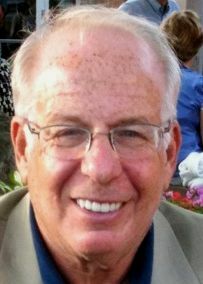 Alan has lectured extensively in Massachusetts and nationally on workers’ compensation issues for Massachusetts Continuing Legal Education, National Business Institute, Professional Education Systems, Inc., Risk Management Society, Harvard School of Public Health and the American Academy of Orthopedic Surgeons, among others. He has also served on a multitude of committees at the Department of Industrial Accidents , most recently on its rules committee. He has written and edited several publications including Massachusetts Workers’ Compensation Law, Workers’ Compensation and the Law and Workers’ Compensation: Issues and Answers. He is the author of numerous papers relating to workers’ compensation and litigation strategy. He served on the editorial board of the Journal of Workers’ Compensation where his column From The Courts appeared quarterly. Alan now hosts Workers’ Comp Matters on the Legal Talk Network where has done over two dozen podcasts covering all issues of workers’ compensation law. In 2007 he was among the first attorneys in the country to be inducted as a Fellow in the College of Workers’ Compensation Lawyers of the American Bar Association.Alan has been selected as a Super Lawyer in Boston Magazine every year since 2004 and is listed in Best Lawyers in America.